﻿ Happy Holidays with Animal Prints! Animal Print Essentials › General › Happy Holidays with Animal Prints! Happy Holidays with Animal Prints! Who has the time to find parking, go through crowds, wait in lines, and most importantly, find that perfect store that sells what you actually want during the holidays? 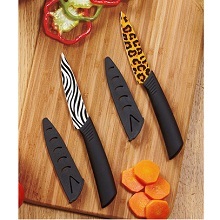 Animal Print Essentials gives you the easy solution to all your Holiday shopping panic with just a click of a mouse! You will find the best deals on gifts for mom, dad, kids, teachers, friends as well as yourself, with gifts of every taste and budget. If you have a low budget, don’t forget to look at our “UNDER $30” section for fun, little gifts! Who doesn’t get a kick out of a little animal print gift?